Get full details about this Economic Price Adjustment Clauses Made Easy sent to your email immediately after you enter your contact details on the right. 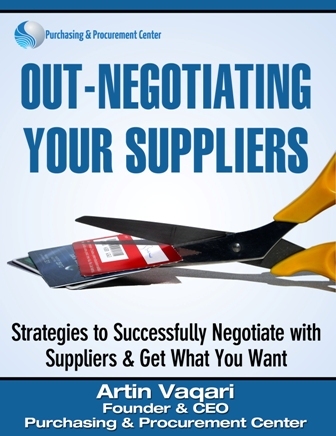 Why the supposedly “best practice” of entering into long term agreements with suppliers is not that “best practice” after all? What are the major points to consider in using and developing a price clause / EPA clause? - Example provided in a typical supply management situation. Discover an Actual Example of a Purchasing Manager who has received bids for a 2 year fixed price agreement. When is a price clause / EPA clause appropriate? How to identify times or events that will trigger price adjustments? 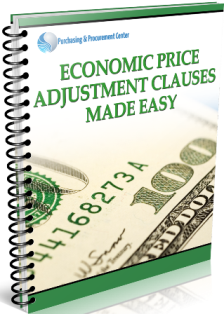 How to determine the actual price of adjustment in price clauses Contracts? - What you must always include in a Price clauses contract? When you do this you avoid all the headaches later.